Luckenbach is a Texas state of mind, where you can kick back, relax and get away from the hustle and bustle of everyday life—like a step back in time. To wear these T-shirts is to represent Texas culture, its music and laid back good times. 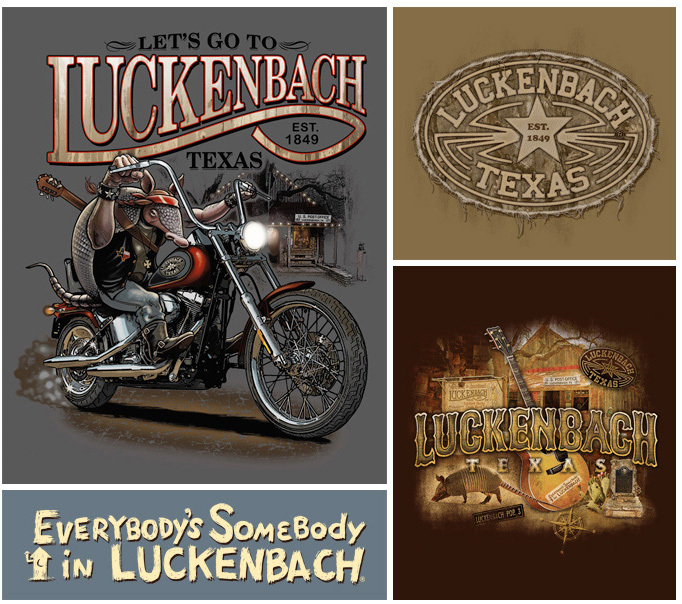 Wearers raise Luckenbach's population from 3 to megopolis. Over a zillion sold.